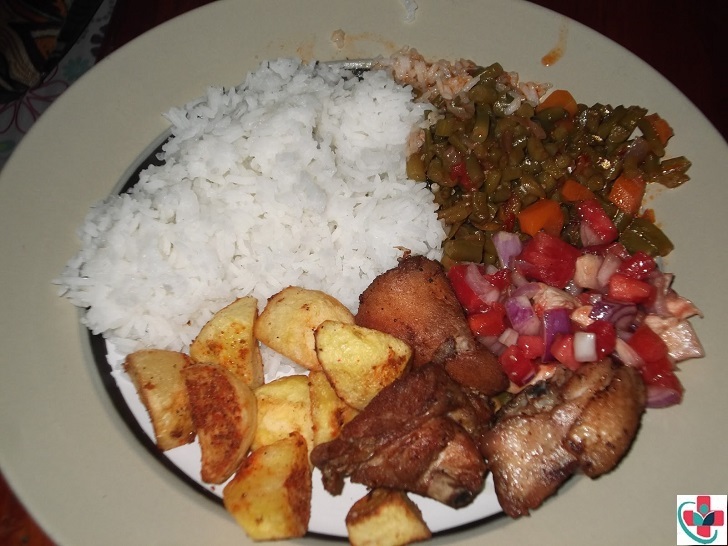 This lovely and mouth-watering meal was prepared by none other than my loving husband, oh am so blessed. A weekend meal that left me wanting more on my plate, even though I was pretty much full already. There is something genuinely divine about the meals my husband cooks, (wish he would do it more often). Maybe its the reason why there are more male chefs than women, don’t get me wrong, am a good cook, well according to my husband and our guests, so he is never being biased. I love trying new stuff and enjoying myself while at it. Probably that’s it, that it’s naturally expected for women to be cooks, and in that notion we become familiar and it becomes about getting it over and done with as opposed to being creative and artsy about the meal. Being a home maker is no joke, and then add being a mum on top of that and the whole being-artsy-with-food-factor gets replaced by its-food-its-on-the-table eat it, at least it’s not burned today. Oh how I pray never to get to that place where what I put on the table, especially for my husband, seizes to be of much importance and keenness. Place oil into pan and add in your cut up onions, let them saute then add your diced tomatoes. Add the coriander powder and salt and pepper. Cover the pan and ensure heat is on medium low so that the tomatoes cook with the steam as well. Par boil the potatoes (meaning don’t let them cook completely) in salty water. Heat oil on a pan, once hot you can pan fry them in two bunches. Mix onions and tomatoes in a bowl and add the ketchup. You may not need to add salt, but taste just to make sure. You can add coriander or chili to this mix. Serve all the above side dishes and enjoy!